Following on from Tuesday’s very rambling post, where I dissected my match against Deathwatch, I thought I’d come back here with some more thoughts on the dark kin. I mentioned in that post how I was thinking about moving away from the now-established Codex army builds, separating my Cult, Coven and Kabal forces, and instead going back to the blended approach from the Index days. Well, I’ve given this some more thought, and I’ve come up with an army list that I’m surprisingly really excited to try out! 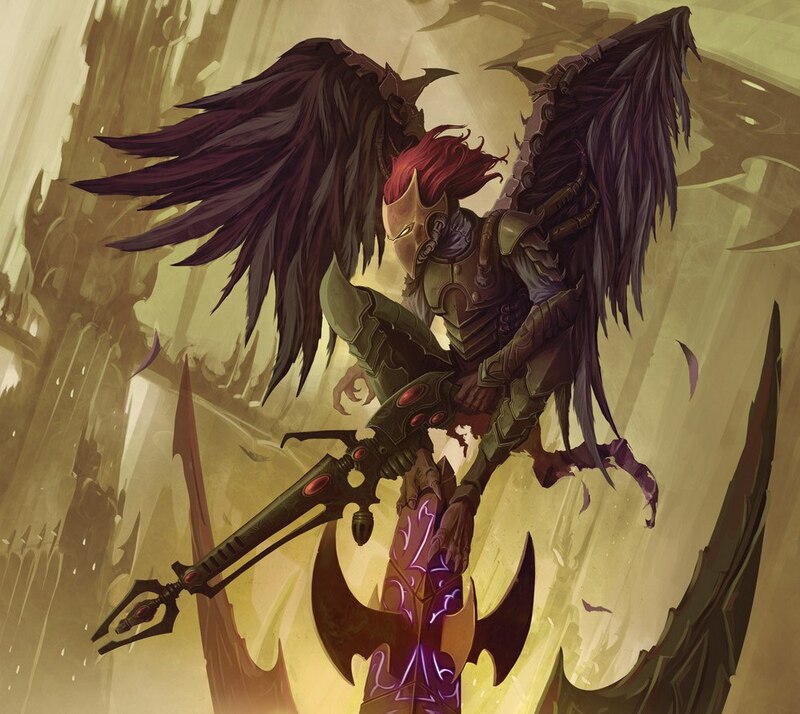 The list is at its core a battalion, with five troops choices and two HQs – it’s just that the second HQ is a Haemonculus rather than a second Archon, breaking the Obsessions. I could technically get away with having it as two Patrol detachments, one for the Coven and one for the Kabal, but then I still have the Wych Cult elements to account for and, having no HQ or troop choice in there, this becomes a bit more difficult. So I’ve not bothered. I’m still getting 8 command points here, and still have the basic Warlord Traits and Relics to choose from, along with a suite of 22 stratagems that I can use, based on the units in the list. When I was thinking about this idea, I mooted it on the Drukhari facebook group, and was kinda shot down for the very notion of even trying it. Some folks did seem a little more open to the idea, but the initial response seemed to be a hearty “no”. I think this is primarily because of people not willing to give up on Agents of Vect, but having never played Black Heart in my life, I think this is hardly a selling point for me to stay within the standard builds. Between Gangs of Commorragh and all the older Start Collecting boxes I bought, I have a lot of Reaver Jetbikes, which was kinda the starting point for me wanting to do this idea in the first place. A lot of my Index Drukhari lists were primarily Kabal and Coven with some bikers along for the ride, and I found they provided an interesting bit of combat difference for the rest of the army. Especially tooling them up with their specialist wargear, allowing them to dish out mortal wounds when they charge into a unit, or fall back from that unit. So I definitely wanted to include some of these mad biker gangs in there, and thus decided to just break with the whole Obsessions thing and see what happened. 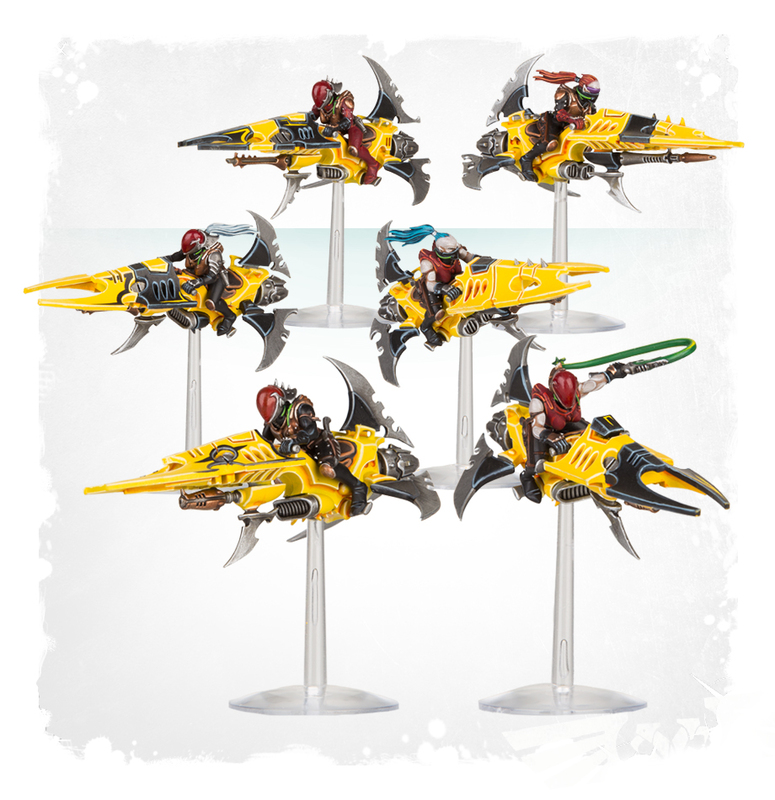 Interestingly, when I mentioned this on the facebook group, someone suggested trying a unit of Kabalites with a blaster inside a Venom – but we’d be looking at well over 100 points for this, whereas the Reavers clock-in around 70ish points. Having broken this spell, I started looking around a bit more freely at what I would like to include in the list, and struck upon the Beasts. I’d had a Beastmaster and Clawed Fiend hanging about since last year, and had also picked up a Razorwing Flock recently, so decided to go down that route, which proved to be quite easy on the points, as it happens! 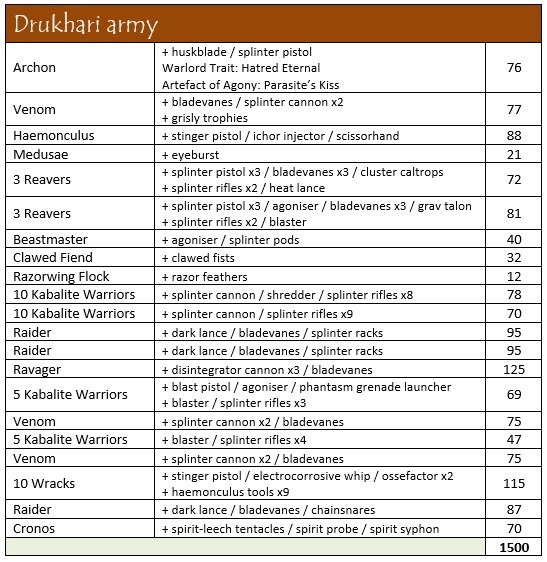 Much like the Court of the Archon stuff, there is a lot of weird stuff in the Drukhari Codex that I just love, and so decided to go for a real carnival of weird feel to this army list! The Beasts are a bit of a weird situation in Matched Play games, because you’re basically forced to take them all as one unit, not being able to take Beasts without a Beastmaster, and when you do so, the Beasts don’t take up a force org slot. I suppose it’s there to prevent spamming a lot of the cheap stuff to fill a brigade detachment, but we’re not quite there yet…! The idea behind my army, then, is to have a Drukhari drive-by style of army, with the Archon and Medusae flying around inside their command Venom, followed closely by the Venom containing a Sybarite with blast pistol and agoniser, sort of acting as the bodyguard. If the threat level requires it, there is the second Venom with a blaster inside to act as a secondary bodyguard, while the main force flies about in Raiders. I’ve got Haemonculus Coven stuff and the Beasts to work in melee, hopefully destroying a fair few things once the targets have all been softened up by the shooting attacks. Then there are the Reavers to just flit about the field and shoot anything they like, charging into close combat with the rest. It’s always a little difficult to think about the next steps for these things, when I’ve not even played with this army yet, but I do quite fancy seeing how I could perhaps get some Scourges into the list. I’ve already got a squad of five built up since 7th edition, so I think that’d be good to actually get on and finish these chaps for the table. The jump infantry of the Dark Eldar, Scourges are an interesting choice to me for the sheer amount of fancy weaponry they can take. Coming stock with a shardcarbine, up to four of them can trade that in for a choice of dark lance, heat lance, splinter cannon, haywire blaster, blaster or shredder. The Solarite is also the only model in the army who can take a power lance, which is mainly taken because it looks cool, from what I can gather! I built mine with a dark lance and a splinter cannon, along with two shardcarbines, and the Solarite wielding a splinter pistol and a piece of wargear with no codex entry, the weighted flail. I’m using it as a venom blade, so my squad of five comes in at 92 points. I think I’d probably look at swapping these bird-men in for the Kabalites with a blaster and their venom before I look at increasing the points of the overall list. Drukhari are very likely going to be a big focus for me as 2019 moves along. It’s an army that I’ve loved since the very first game I had against Blood Angels, and I knew it was something I wanted to pursue and try to improve with. This year, I’ve got quite a few momentous events happening, between hoping to move house at some point over the summer, then the birth of my firstborn due in October – I doubt I’ll have much time to go as wide with the hobby as I have been up to this point!!!! !